It is known that space is filled with plasma. In fact, plasma is the most common type of matter in the universe. It is found in a wide range of places from fire, neon lights, and lightning on Earth to galactic and intergalactic space. The only reason that we are not more accustomed to plasma is that mankind lives in a thin biosphere largely made up of solids, liquids, and gases to which our senses are tuned. For example, we don’t experience fire as a plasma; we see a bright flame and feel heat. Only scientific experiments can show us that plasma is actually present in the flame. “Plasma is a collection of charged particles that responds collectively to electromagnetic forces” (from the first paragraph in Physics of the Plasma Universe, Anthony Peratt, Springer-Verlag, 1992). A plasma region may also contain a proportion of neutral atoms and molecules, as well as both charged and neutral impurities such as dust, grains and larger bodies from small rocky bodies to large planets and, of course, stars. The defining characteristic is the presence of the free charges, that is, the ions and electrons and any charged dust particles. Their strong response to electromagnetic fields causes behavior of the plasma which is very different to the behavior of an un-ionized gas. Of course, all particles – charged and neutral – respond to a gravity field, in proportion to its local intensity. As most of the Universe consists of plasma, locations where gravitational force dominates that of electromagnetism are relatively sparse. 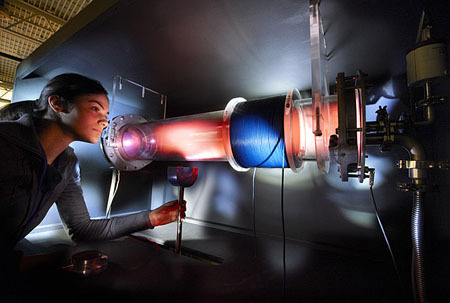 Because of its unique properties, plasma is usually considered to be a phase of matter distinct from solids, liquids, and gases. It is often called the “fourth state of matter” although, as its state is universally the most common, it could be thought of as the “first” state of matter. The chart below is commonly used to indicate how states change from a thermal point of view. The higher the temperature, the higher up the energy ladder with transitions upward and downward as indicated. However, it takes a very high thermal energy to ionize matter. There are other means as well, and an ionized state with charge imbalance can be induced and maintained at almost any temperature. A solid such as a metal electrical cable, once it is connected in an electrical circuit with a sufficiently high electrical voltage source (battery; powerplant) will have its electrons separated from the metal nuclei, to be moved freely along the wire as a current of charged particles. A beaker of water with a bit of metallic salt, such as sodium chloride, is readily ionized. If an electric voltage is applied via a positive and a negative wire, the hydrogen and oxygen atoms can be driven to the oppositely charged wires and evolve as the gaseous atoms they are at room temperature. Such stable, neutral states are a part of an electric universe, but this Guide will focus more on investigating the state of plasma and electric currents at larger scales, in space. 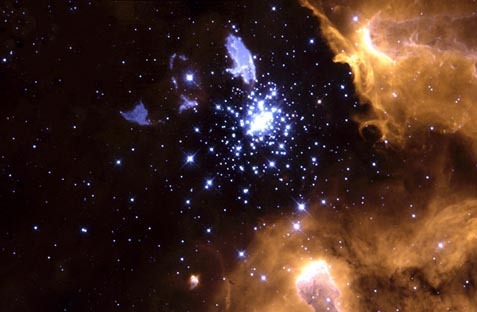 A molecular cloud of very cold gas and dust can be ionized by nearby radiating stars or cosmic rays, with the resulting ions and electrons taking on organized plasma characteristics, able to maintain charge and double layers creating charge separation and electrical fields with very large voltage differentials. Such plasma will accelerate charges and conduct them better than metals. Plasma currents can result in sheets and filamentary forms, two of the many morphologies by which the presence of plasma can be identified. 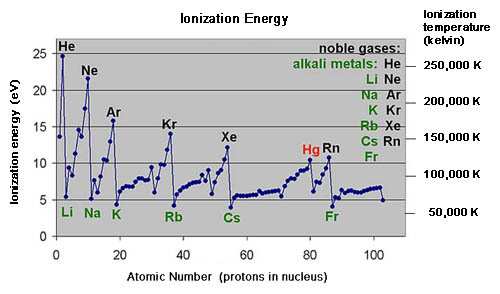 The proportion of ions is quantified by the degree of ionization. The degree of ionization of a plasma can vary from less than 0.01% up to 100%, but plasma behavior will occur across this entire range due to the presence of the charged particles and the charge separation typical of plasma behavior. 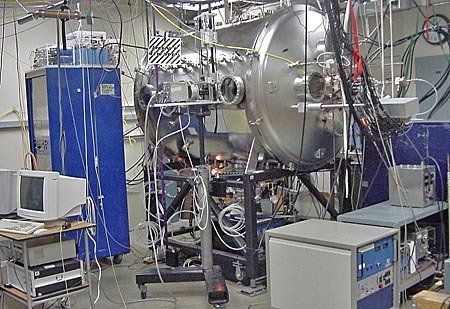 Plasma is sometimes referred to merely as an “ionized gas”. While technically correct, this terminology is incomplete and outdated. It is used to disguise the fact that plasma seldom behaves like a gas at all. 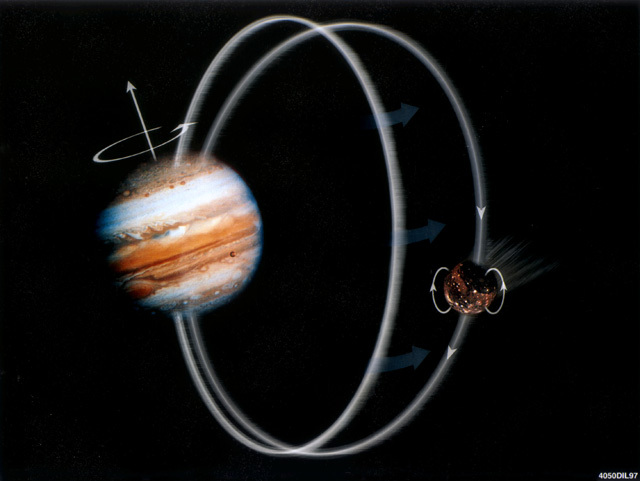 In space it does not simply diffuse, but organizes itself into complex forms, and will not respond significantly to gravity unless local electromagnetic forces are much weaker than local gravity. Plasma is not matter in a gas state; it is matter in a plasma state. The Sun’s ejection of huge masses of “ionized gas” (plasma) as prominences and coronal mass ejections against its own powerful gravity serves to illustrate this succinctly. 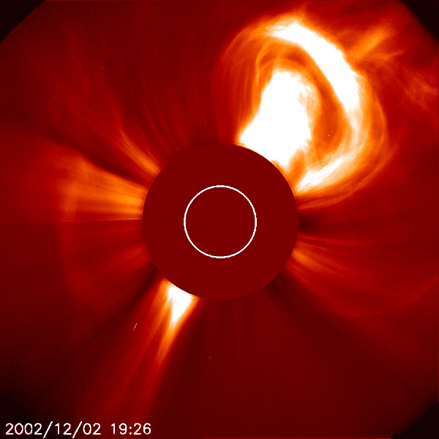 The solar ‘wind’ is plasma, and consists of moving charged particles, also known as electric current. It is not a fluid, or a ‘wind’, or a ‘hot gas’, to put it in plain terms. Use of other words from fluid dynamics serves to obfuscate the reality of electric currents and plasma phenomena more powerful than gravity, around us in space, as far away as we can observe. We know that space is filled with fields, a variety of particles, many of which are charged, and collections of particles in size from atoms to planets to stars and galaxies. Neutral particles — that is, atoms and molecules having the same number of protons as electrons, and neglecting anti-matter in this discussion — can be formed from oppositely charged particles. Conversely, charged particles may be formed from atoms and molecules by a process known as ionization. If an electron – one negative charge – is separated from an atom, then the remaining part of the atom is left with a positive charge. The separated electron and the remainder of the atom become free of each other. This process is called ionization. The positively charged remainder of the atom is called an ion. The simplest atom, hydrogen, consists of one proton (its nucleus) and one electron. If hydrogen is ionized, then the result is one free electron and one free proton. A single proton is the simplest type of ion. 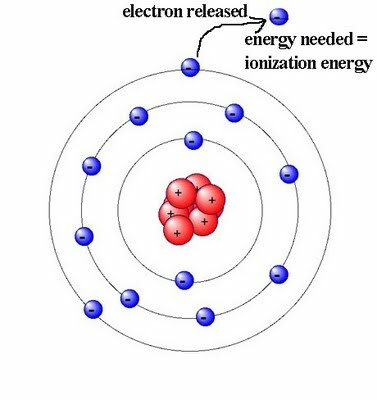 If an atom heavier than hydrogen is ionized, then it can lose one or more electrons. The positive charge on the ion will be equal to the number of electrons that have been lost. Ionization can also occur with molecules. It can also arise from adding an electron to a neutral atom or molecule, resulting in a negative ion. 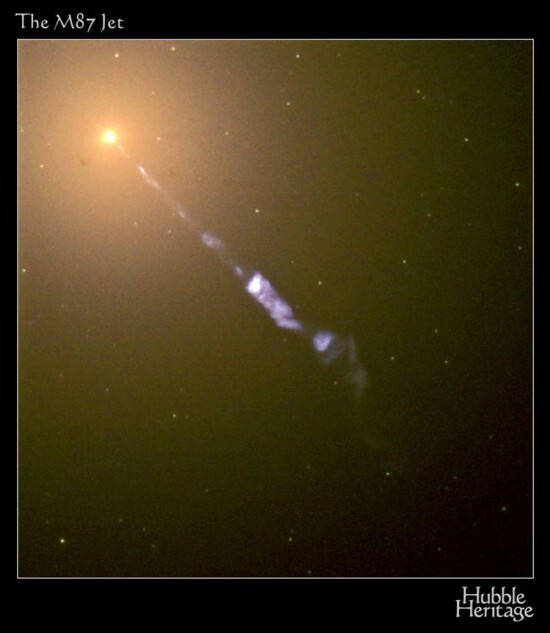 Dust particles in space are often charged, and the study of the physics of dusty plasmas is a subject of research in many universities today. Energy is required to separate atoms into electrons and ions — see the chart below. Notice the repetitive pattern of the chart: an alkali metal has a relatively low ionization energy or temperature (easy to ionize). As you move to the right, increasing the atomic number – the number of protons in the nucleus of the atom – the energy required to ionize each ‘heavier’ atom increases. It peaks at the next “noble gas” atom, followed by a drop at the next higher atomic number, which will be a metal again. Then the pattern repeats. It is interesting to note that hydrogen, the lightest element, is considered a ‘metal’ in this electric and chemical context, because it has a single electron which it readily “gives up” in its outer (and only) electron orbital. Common terminology in astronomy, in the context of the component elements in stars, is that hydrogen and helium are the ‘gases’ and all the other elements present are collectively termed ‘metals’. The energy to initiate and maintain ionization can be kinetic energy from collisions between energetic particles (sufficiently high temperature), or from sufficiently intense radiation. Average random kinetic energy of particles is routinely expressed as temperature, and in some very high velocity applications as electron-volts (eV). To convert temperature in kelvins (K) to eV, divide K by 11604.5. Conversely, multiply a value in eV by that number to get the thermal equivalent temperature in K.
The chart above represents the ionization energy required to strip the first, outermost electron from an atom or molecule. Subsequent electrons are more tightly bound to the nucleus and their ionization requires even higher energies. Several levels of electrons may be stripped from atoms in extremely energetic environments like those found in and near stars and galactic jets. Importance: These energetic plasmas are important sources of electrons and ions which can be accelerated to extremely high velocities, sources of cosmic rays and synchrotron radiation at many wavelengths. Cosmic ray links to cloud cover patterns affecting our global climate are reported in Henrik Svensmark’s book, The Chilling Stars. Temperature is a measure of how much random kinetic energy the particles have, which is related to the rate of particle collisions and how fast they are moving. The temperature affects the degree of plasma ionization. Electric fields aligned (parallel) with local magnetic fields (“force-free” condition) can form in plasma. Particles accelerated in field-aligned conditions tend to move in parallel, not randomly, and consequently undergo relatively few collisions. The conversion of particle trajectories from random to parallel is called “dethermalization”. They are said to have a lower “temperature” as a result. Analogy: think of the vehicular motion in a “destruction derby” as “hot”, collision-prone random traffic, and freeway vehicular movement in lanes as “cool”, low-collision, parallel aligned traffic. In a collision between an electron and an atom, ionization will occur if the energy of the electron (the electron temperature) is greater than the ionization energy of the atom. Equally, if an electron collides with an ion, it will not recombine if the electron has enough energy. One can visualize this as the electron’s having a velocity greater than the escape velocity of the ion, so it is not captured in an orbit around the ion. Electron temperatures in space plasmas can be in the range of hundreds to millions of kelvins. Plasmas can therefore be effective at maintaining their ionized state. A charge-separated state is normal in space plasmas. Other sources of ionization energy include high-energy cosmic rays arriving from other regions, high-energy or “ionizing” radiation such as intense ultraviolet light incident upon gas or weakly ionized plasma from nearby stars, an encounter between a plasma region and a neutral gas region in which the relative velocity of the encounter exceeds the Critical Ionization Velocity (CIV) (Hannes Alfvén, Collision between a nonionized gas and a magnetized plasma, Rev. Mod. Phys., vol. 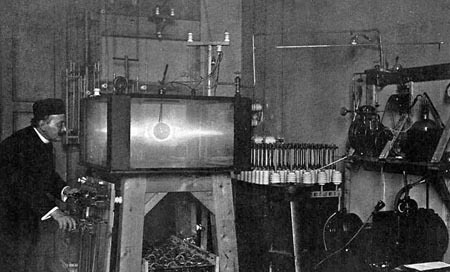 32, p. 710, 1960) or energetic radiative processes created within the plasma itself. In Big Bang cosmology, it is thought that there is not enough energy in the Universe to have created and maintained significant numbers of “loose” ions and electrons through ionization, and therefore they cannot exist. On the other hand, whenever ions and electrons combine into atoms, energy is given off. In the Big Bang Model, protons and electrons are thought to have been created before atoms, so an enormous amount of energy must have been released during the formation of the atoms in the Universe. It seems possible that if the Big Bang Model is correct, then this energy would still be available to re-ionize large numbers of atoms. Alternatively, it seems possible that not all protons and electrons combined into atoms after the Big Bang. Note that the Electric Model does not rely on the Big Bang Model. The Electric Model simply says that we detect ions and electrons everywhere we have looked; so they do exist, probably in large numbers. Telescopes which “see” in high energy photons, such as Chandra (X-ray) and EIT, Extreme Ultraviolet Imaging Telescope on the SOHO solar observation spacecraft, attest to the presence of ionizing energy sources in the Universe, near and far. To suggest that mobile ions and electrons can’t exist in large numbers because, theoretically, there isn’t enough energy to have created them is as erroneous as arguing that the Universe can’t exist for the same reason. Although plasma may not be common in Earth’s biosphere, it is seen in lightning in its many forms, the northern and southern auroras, sparks of static electricity, spark plug igniters, flames of all sorts (see Chapter 2, ¶2.6), in vacuum tubes (valves), in electric arc welding, electric arc furnaces, electric discharge machining, plasma torches for toxic waste disposal, and neon and other fluorescent lighting tubes and bulbs. Plasma behavior has been studied extensively in laboratory experiments for over 100 years. There is a large body of published research on plasma behavior by various laboratories and professional organizations, including the Institute of Electrical and Electronics Engineers (IEEE), which is the largest technical professional organization in the world today. The IEEE publishes a journal, Transactions on Plasma Science. We will be relying on much of this research when explaining plasma behavior in the rest of this Guide. One point to bear in mind is that plasma behavior has been shown to be scalable over many orders of magnitude. That is, we can test small-scale examples of plasma in the laboratory and know that the observable results can be scaled up to the dimensions necessary to explain plasma behavior in space. Due to the presence of its charged particles, that is, ions, electrons, and charged dust particles, cosmic plasma behaves in a fundamentally different way from a neutral gas in the presence of electromagnetic fields. Electromagnetic forces will cause charged particles to move differently from neutral atoms. Complex behavior of the plasma can result from collective movements of this kind. A significant behavioral characteristic is plasma’s ability to form large-scale cells and filaments. In fact, that is why plasma is so named, due to its almost life-like behavior and similarities to cell-containing blood plasma. The cellularization of plasma makes it difficult to model accurately. 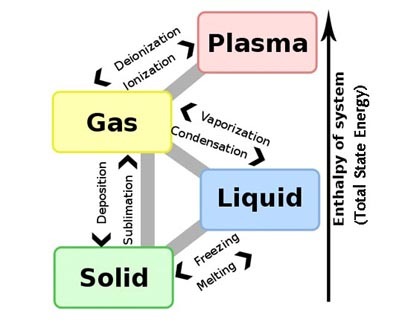 The use of the term ‘ionized gas’ is misleading because it suggests that plasma behavior can be modeled in terms of gas behavior, or fluid dynamics. It cannot except in certain simple conditions. Plasma contains dissociated charged particles which can move freely. Remembering that, by definition, moving charges constitute a current, we can see that plasma can conduct electricity. In fact, as plasma contains both free ions and free electrons, electricity can be conducted by either or both types of charge. By comparison, conduction in a metal is entirely due to the movement of free electrons because the ions are bound into the crystal lattice. This means plasma is an even more efficient conductor than metals, as both the electrons and their corresponding ions are considered free to move under applied forces. In the Gravity Model, plasma is often assumed for simplicity to be a perfect conductor with zero resistance. However, all plasmas have a small but nonzero resistance. This is fundamental to a complete understanding of electricity in space. Because plasma has a small nonzero resistance, it is able to support weak electric fields without short-circuiting. The electrical conductivity of a material is determined by two factors: the density of the population of available charge carriers (the ions and electrons) in the material and the mobility (freedom of movement) of these carriers. In space plasma, the mobility of the charge carriers is extremely high because, due to the very low overall particle density and generally low ion temperatures, they experience very few collisions with other particles. On the other hand, the density of available charge carriers is also very low, which limits the capacity of the plasma to carry the current. Electrical resistance in plasma, which depends on the inverse of the product of the charge mobility and the charge density, therefore has a small but nonzero value. Because a magnetic field forces charged particles moving across the field to change direction, the resistance across a magnetic field is effectively much higher than the resistance in the direction of the magnetic field. This becomes important when looking at the behavior of electric currents in plasma. Although plasma is a very good conductor, it is not a perfect conductor, or superconductor. Over a large enough volume, plasma tends to have the same number of positive and negative charges because any charge imbalance is readily neutralized by the movement of the high-energy electrons. So the question arises, how can differently charged regions exist, if plasma is such a good conductor and tends to neutralize itself quickly? On a small scale, of the order of tens of meters in a space plasma, natural variations will occur as a result of random variations in electron movements, and these will produce small adjacent regions where neutrality is temporarily violated. On a larger scale, positive and negative charges moving in a magnetic field will automatically be separated to some degree by the field because the field forces positive and negative charges in opposite directions. This causes differently charged regions to appear and to be maintained as long as the particles continue to move in the magnetic field. Separated charge results in an electric field, and this causes more acceleration of ions and electrons, again in opposite directions. In other words, as soon as some small inhomogeneities are created, this rapidly leads to the start of more complex plasma behavior. Over all scales, the signature filamentation and cellularization behavior of plasma creates thin layers where the charges are separated. Although the layers themselves are thin, they can extend over vast areas in space. The essential point to bear in mind when considering space plasma is that it often behaves entirely unlike a gas. The charged particles which are the defining feature of a plasma are affected by electromagnetic fields, which the particles themselves can generate and modify. In particular, plasma forms cells and filaments within itself, which is why it came to be called plasma, and these change the behavior of the plasma, like a feedback loop. Plasma behavior is a little like fractal behavior. Both are complex systems arising from comparatively simple rules of behavior. Unlike fractals, though, plasma is also affected by instabilities, which add further layers of complexity. Any theoretical or mathematical model of the Universe that does not take into account that complexity, is going to miss important aspects of the system’s behavior and fail to model it accurately.